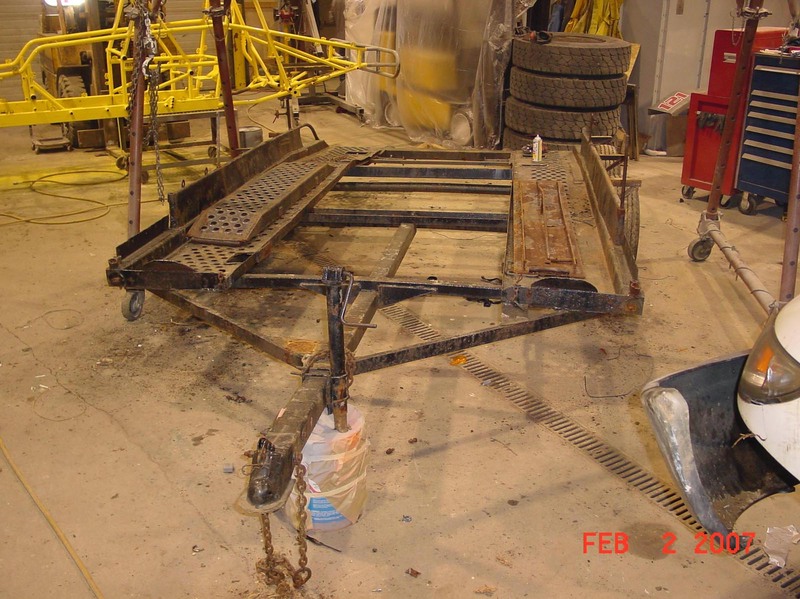 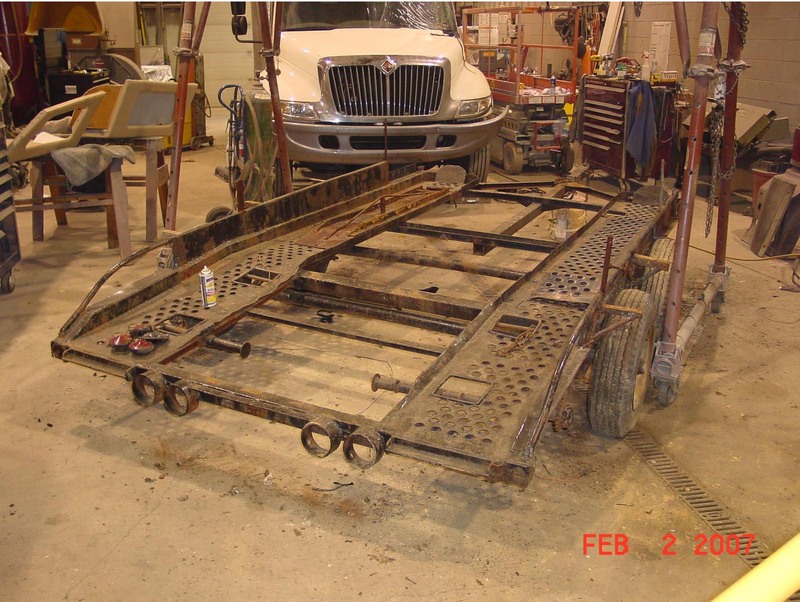 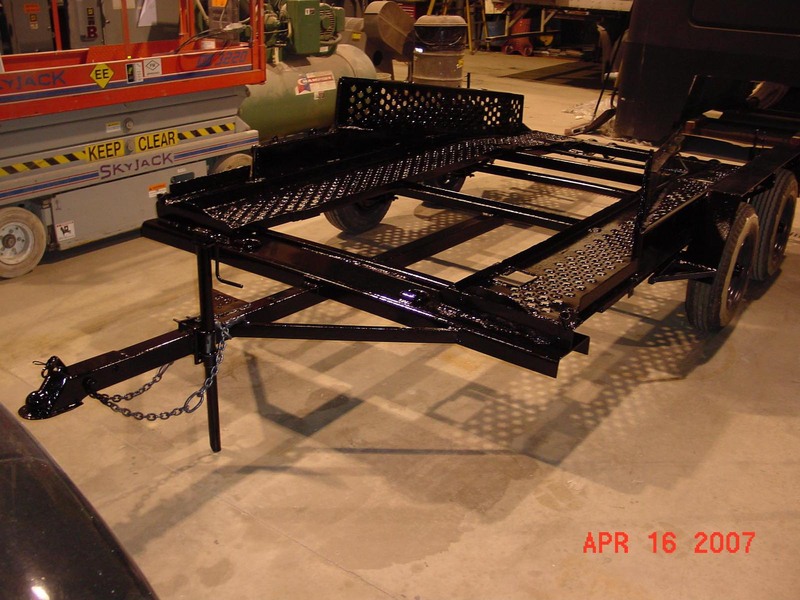 The following pictures shows the restoration project of the original Red Coffin Race Trailer. 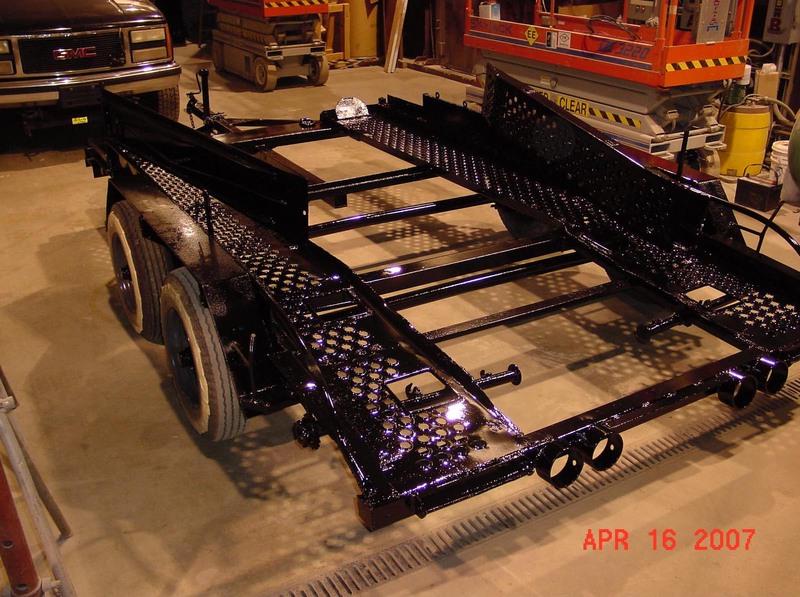 Click on each thumbnail to see the full-size picture. 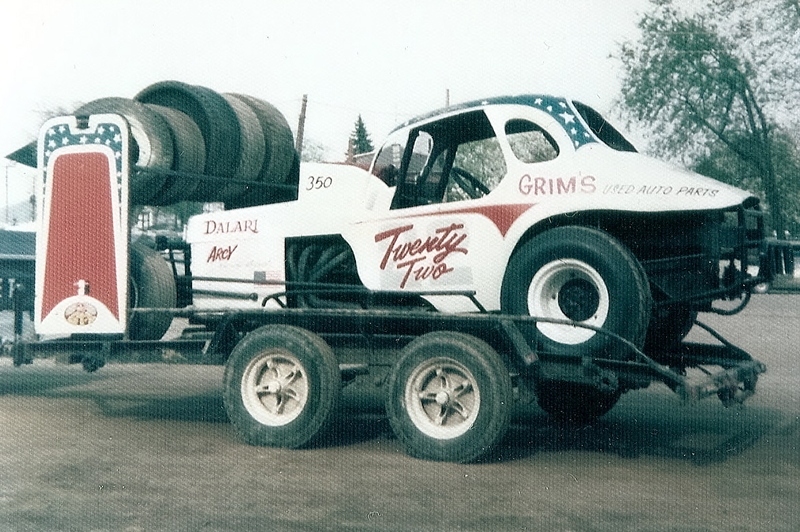 Picture shows the original car trailer from the early 1970's. 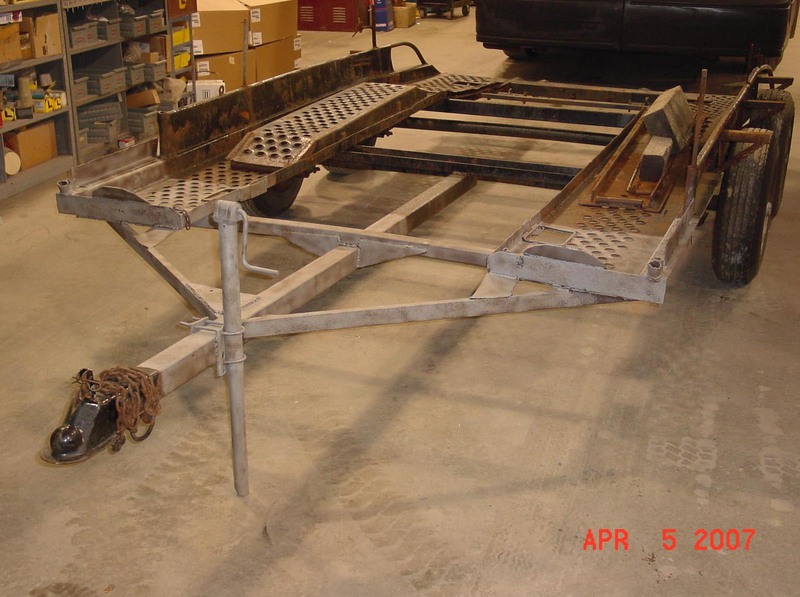 Condition of trailer prior to restoration. 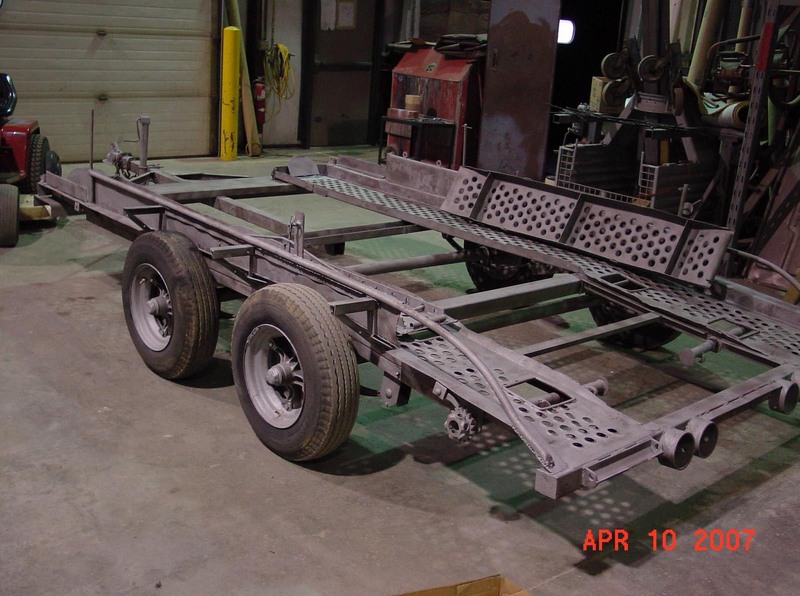 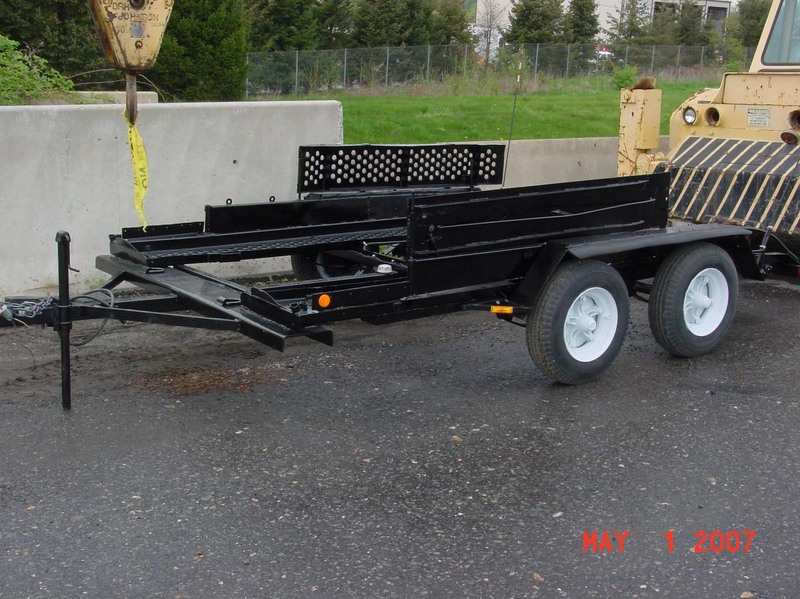 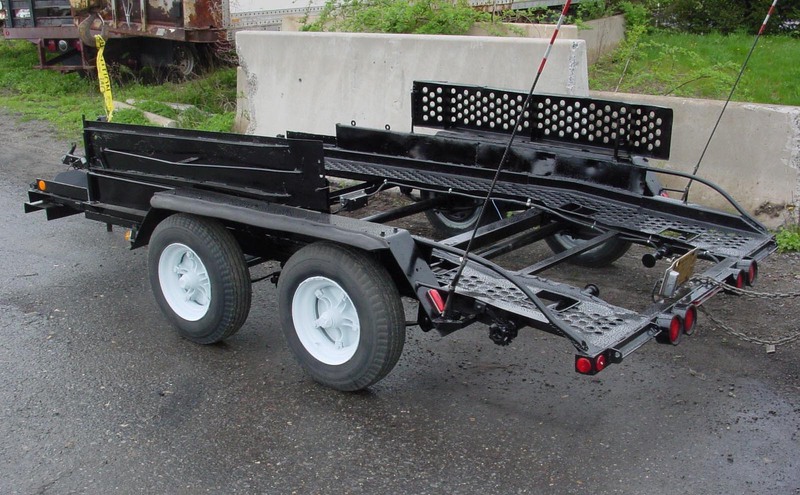 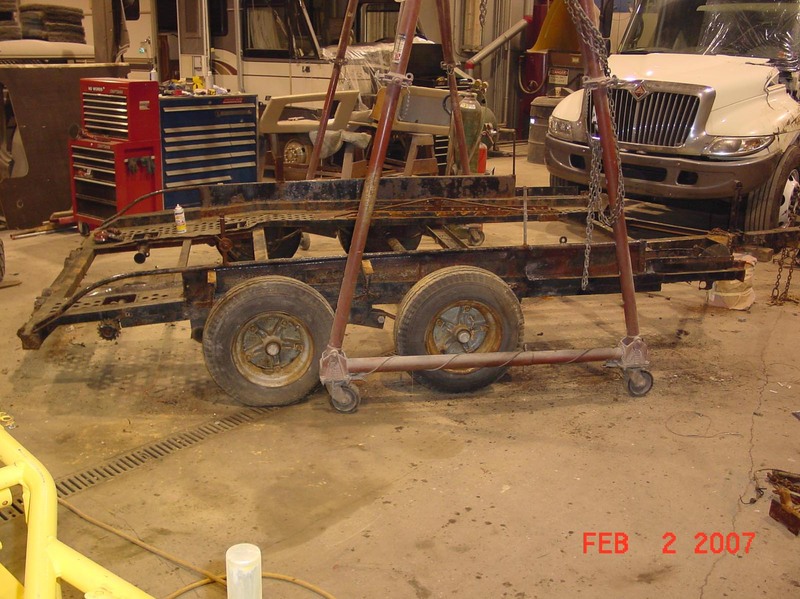 Completed project: Reconditioned race trailer with original tire rack.